Miami Hurricanes quarterback Tate Martell has reportedly "lawyered up" as he attempts to receive a waiver for immediate eligibility for the 2019 season after he announced his transfer from the Ohio State Buckeyes. Steve Wiltfong of 247Sports reported Wednesday that Martell plans to use OSU's coaching change from Urban Meyer to Ryan Day as the basis for his claim. A source close to the quarterback told Wiltfong the waiver attempt has a "better shot than you'd think." The 20-year-old California native would have likely been forced to compete with Justin Fields for the Buckeyes' starting job. Fields transferred to Ohio State from the Georgia Bulldogs earlier in January and is expected to get a waiver to play in 2019. If granted his own waiver, Martell will likely slot right in as the Canes' starter after the team's struggles at the critical position in 2018. Miami quarterbacks, led by N'Kosi Perry and Malik Rosier, completed just 51.1 percent of their throws with 19 touchdown passes and 14 interceptions across 13 games in 2018. Martell was a 4-star prospect and the No. 56 overall player in the 2017 recruiting class, according to 247Sports' composite rankings. He was listed as the second-best dual-threat QB in the group. He appeared in six games this past season behind Heisman Trophy contender Dwayne Haskins after sitting out the 2017 campaign as a redshirt. He connected on 23 of his 28 throws (82.1 percent) for 269 yards and a touchdown. He added 128 rushing yards and two scores on the ground. Haskins declared for the 2019 NFL draft, leaving the Buckeyes' quarterback job up for grabs. 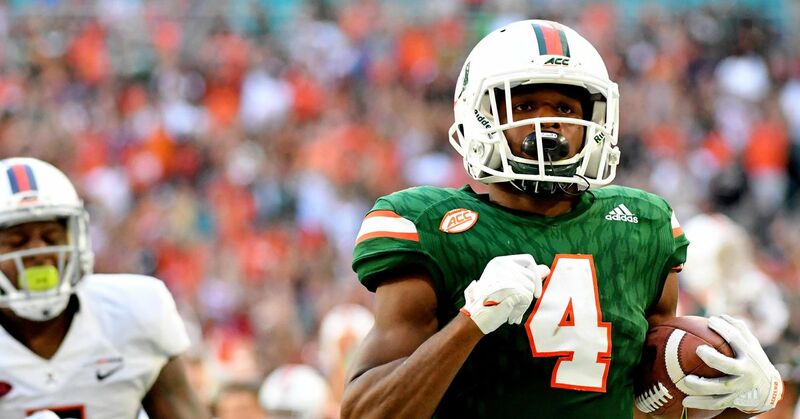 If Martell's waiver is denied, he won't be eligible to play until 2020, at which point he'll have two years of eligibility remaining with the Hurricanes.